Nokia is working on a Series 40 handset with 1GHz and 512MB RAM of memory. Yeah, we were shocked too. Nokia is reportedly working on a Series 40 handset that will run a 1GHz processor and ClearBlack capacitive screen. 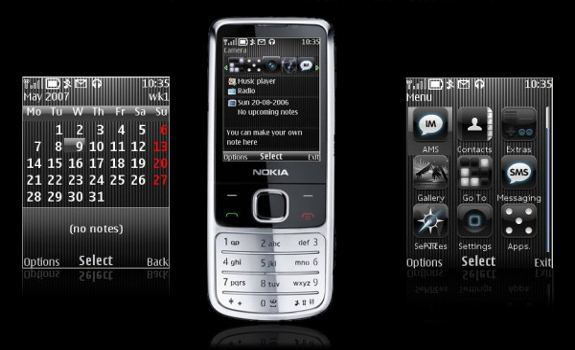 In addition to this, the upcoming Nokia s40 mobile device features 512MB RAM, QWERTY keypad, WiFi, HSDPA and an app store. 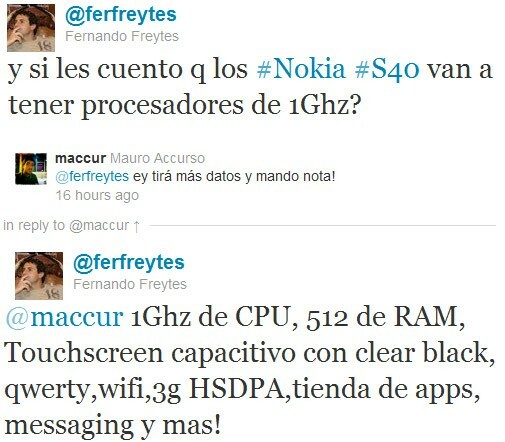 All the said details were tweeted by Nokia’s Manager of Marketing in Argentina, Fernando Freytes. Now, why would the Finnish company want to run its feature phone on 1GHZ and 512MB RAM of memory? Whatever the reason is, let’s just hope that the upcoming Nokia Connection 2011 in Singapore will clear the air.